An incredibly versatile piece of clothing the Hummvee Shacket doubles up both as a casual flannel shirt as well as a windproof outer shell jacket. If you're determined to pack light then items like this are an extremely useful option giving you the adaptability of different clothing options without having to pack any extra weight. It's also reversible for extra versatility. If youre trying to pack light then adaptable multi-use equipment is absolutely essential. This is especially true while bikepacking or cycle touring where keeping your luggage weight to a manageable weight has the capacity to make or break the trip. 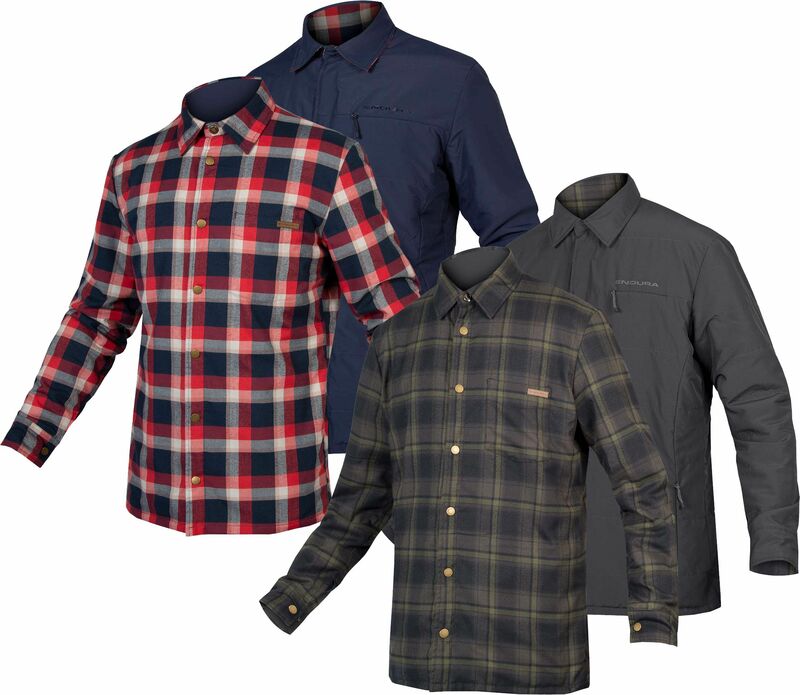 Its situations like this where the Endura Shacket comes into its own giving you the benefit of both a comfortable flannel shirt as well as a windproof outer jacket in one compact reversible package. The lightweight insulation within the jacket provides a good deal of warmth making it a good option for any trips that involve camping or bivvying. The integrated handwarmer pockets are a handy inclusion as well making it easy to keep your extremities warm. Please see below for delivery options for Endura Hummvee Shacket Windproof Jacket 2019. "Smart to casual in a minute. Well made, nice fitting jacket. Cycle Store price and speed of delivery excellent"
"Great autumnal piece of kit whether its on the bike or like me as a casual shirt to shake off those dropping temperatures as winter slowly rolls in. Its windproof, flips from a plain material (blue in my case) to a red flannel plaid. Zipped hand warmer and chest pockets."